How Can Children Aspire to Careers They Don’t Know Exist? Home Topics Deeper Learning How Can Children Aspire to Careers They Don’t Know Exist? I’m the Chief Innovation and Engagement Officer for my school district, which is a title you might expect at a technology company, not at a school district. That’s not an accident. While it’s frequently a longer path to enact change in education than it is in business, districts can innovate. We’ve worked hard to give our students new, challenging and necessary curriculum programs including coding, presentation literacy, social and emotional learning and one I’m particularly excited by called the World of Work (WoW). WoW is a significant innovation because education experts used to think that career education began in high school. We start in kindergarten, and we make a point to avoid pouring kids into career buckets. Instead, we begin early to help students understand their strengths, interests and values and to use those self-discovered qualities to illuminate potential career opportunities. We keep the feel of exploration because through exploration comes excitement and through excitement comes engagement. This is not a piecemeal thing – we’re all-in, 100 percent inclusive and equitable in WoW – meaning that every K-8 classroom is part of the program, mapping out pathways and allowing for unexpected journeys. WoW gives every child important exposure to connect learning to their lives after high school. We infuse that objective with lessons helping students understand who they are, what things they like to do, what problems they may enjoy and how and where they may prefer to solve them. By ensuring students are exposed to at least six different career opportunities annually, starting in elementary school, WoW students will see, explore and consider no less than 54 different careers by the time they move on to high school. To do that, we use well-known career development theory, the Holland RIASEC framework, as a comprehensive and unique strategy (here’s a more detailed dive). Traditional career interventions often used assessment to drop students into career interests. The WoW approach lets students experience all areas of the career frameworks, thereby eliminating concerns about tracking or premature foreclosure. Our attention to a student’s interests is key because we know these have the strongest correlation to career satisfaction, income and job performance over a lifetime. We also start early because know that’s when true exploration can happen. By the time a student is in high school, strengths and interests are solidifying and being reinforced. By the time someone is in their 20’s, they are remarkably settled. While these important qualities are in formation, our WoW program uses great technology and expertise to put students in direct contact with career professionals and practitioners, encouraging career exploration and iteration. We do that by accessing a deep and diverse library of grade-appropriate videos with career professionals – not show and tell, but ask and answer. 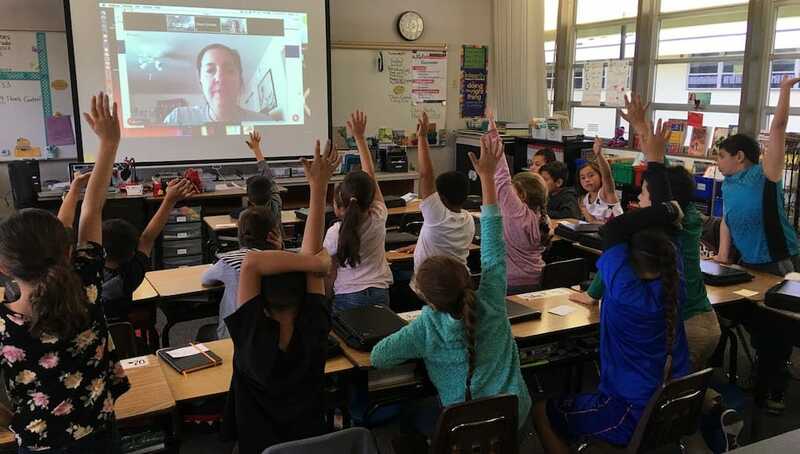 Often, we also arrange live small group, classroom-to-professional video conferences and directed activities so students can see and hear these working experts while personally engaging with them. Students have a video chat with a zoologist, Janine Bartling, from the Hogle Zoo in Utah. We believe it’s already making a big difference by opening eyes and minds to the real opportunities that exist beyond school. We also know this is good for business because our students are engaged and ask well-informed, thought-provoking questions when visiting with working professionals. Perhaps most importantly, by connecting exciting career options to learning, class work becomes more valuable, reinforcing the idea that school is a path to something that can be fun and rewarding. If a student is excited by working with animals, for example, there are few things an educator can say that is more powerful than hearing a zoologist stress the importance of science while standing in a waddle of penguins. Instantly, biology is much less boring. People in jobs are among the best resources for teaching and learning. Getting them in front of our students, early and often, makes a big difference. And the only way to do that, at scale, is by using innovative technology and coordinated planning. This level of innovation is not only possible, it’s happening in our school district. The last thing we want to do is keep it a secret (we are proud that the program was also recently written about in the Hechinger Report). There is deep, rich, lifelong value in exposing students to career and life paths early. We should all take an active role – and this includes business people, researchers and working professionals from all walks of life – sharing our experiences with students so that these innovative insights show up in our classrooms as early as possible, not after the die has already been cast. Stay in-the-know with all things EdTech and innovations in learning by signing up to receive our weekly newsletter, Smart Update. I am so proud to be a part of the World of Work (WoW) initiative in Cajon Valley Union School District! As an educator, I’ve seen the immediate and ongoing student engagement as we explore careers, using RIASEC.